“Dis/Location (Fort Tryon),” Drastic Action’s performance and education project exploring the immigrant experience from multiple perspectives, took place in the immigrant-rich Washington Heights neighborhood of Manhattan in spring 2016. 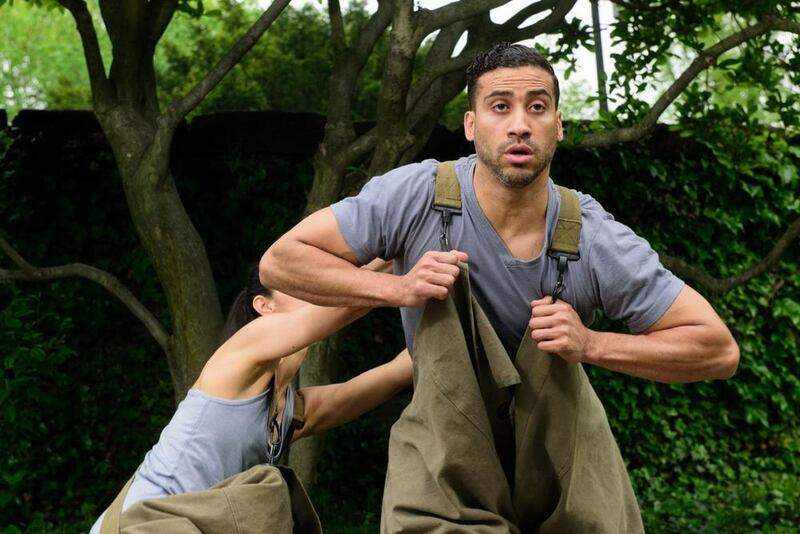 Rooted in Geismar’s personal history as a child of a Holocaust refugee and in interviews with New Yorkers from all over the world, the project featured the creation of a 30-minute, site-specific dance for 6 diverse performers on a rugged slope in the Fort Tryon Park. The piece explored the trauma of leaving home, the feeling of being unmoored, the awkwardness of trying to fit into a new culture and the rituals we use to create a sense of home. Concurrently, company members ran a series of events for 6th and 7th grade students at City College Academy of the Arts, a largely immigrant, neighborhood school. During 3 months of creative dance workshops, 30 students explored their family immigration histories through dance and created their own original dance works on that theme. Company teaching artists also led creative dance explorations in all the 6th and 7th grade social studies classes. In June, the student dancers and the company performed for an in-school assembly focusing on the subject of immigration. The project culminated with three free performances in the park June 16-18, 2016, which were attended by 420 enthusiastic audience members. The 7th grade students performed their dance as a program opener for the Drastic Action piece. Dance writer, Carrie Stern commented, "Set in glorious Fort Tryon Park...Dis/Location was funny, physically inventive, and totally charming. (Geismar's) beautiful professional dancers were adjuncted by a charming group of public school dancers, the product of (the) company's arts in the schools initiative." 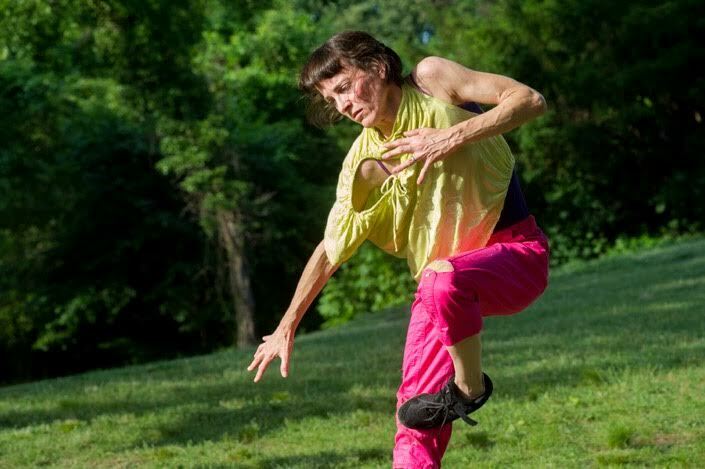 Juliet Neidish wrote in the Blog Op Edgy Arts and Performance, “What made Dis/Location (Fort Tryon) work so well was the articulate and performative nature of the choreography. The dancers, strong, individual, and equally able to hold the stage, all embodied a complete understanding of the material and how to use its movement language to put forth Geismar’s rich choreographic ideas." Click here for full review. “Dis/Location (Fort Tryon)" was made possible in part with public funds from Creative Engagement, supported by the New York City Department of Cultural Affairs in partnership with the City Council and the New York State Council on the Arts with the support of Governor Andrew Cuomo and administered by Lower Manhattan Cultural Council. This project is also made possible by generous support from The Fort Tryon Park Trust, Jody and John Arnhold, The Bay and Paul Foundations, The Mary Duke Biddle Foundation and The PSC-CUNY Research Foundation and numerous individual donors to Drastic Action. Performance: Vladimir Campoy, Nickemil Concepcion, Kauro Ikeda, Hyunjin Kim, Mengying Lin, Sameena Mitta and Darla Stanley. Costumes: Jennifer Lee.